No plans to replace character's voice cast, says animation producer. 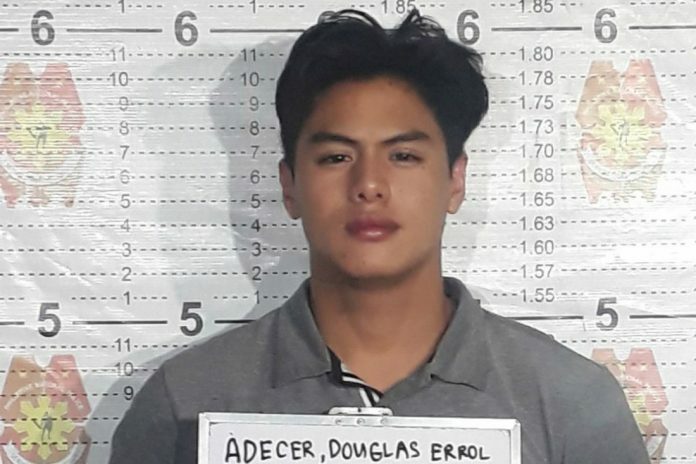 GMA Network actor Migo Adecer was arrested by Makati City Police on Tuesday evening for reportedly hitting two Metro Manila Development Authority (MMDA) employees and trying to evade the authorities. Adecer is also one of the voice actors in the locally-produced anime series Barangay 143 as the lead character Bren. The Philippine Daily Inquirer reports that the actor, driving a white Subaru BRZ, hit Rogelio Castillano and Michelle Galova Papin who were riding their motorcycles at the time. The victims were rushed to Ospital ng Makati for injuries. According to the Police, Adecer then tried to evade the authorities, but was eventually cornered along N. Garcia street. The actor, who was allegedly under the influence of alcohol at the time, then refused to show his driver’s license to the police and tries to drove away, damaging a patrol car in the process. Adacer was arrested and may face charges of reckless imprudence resulting in physical injuries, disobedience to authority and damage to property. The actor was eventually released Wednesday evening after posting bail. Atty. Marie Glen Abraham-Garduque, who represents Adecer, says her client was not aware that he sideswiped the victims, but the actor has offered to shoulder their medical bills, according to report from ABS-CBN News. Synergy88 Entertainment Media, Inc., one of the producers of Barangay 143, has told Anime Pilipinas they are not in a position to comment on the actor’s personal matters and will let his management speak on his behalf. When asked regarding his role in the locally-produced anime series, which is set to return on Sunday, March 31, they revealed that Adecer has already completed his dubbing for all episodes of the season. “We hope the matter gets resolved amicably among the parties involved and we support Migo in this trying time,” the spokesperson added. GMA Artist Center for its part says they are closely monitoring the incident.